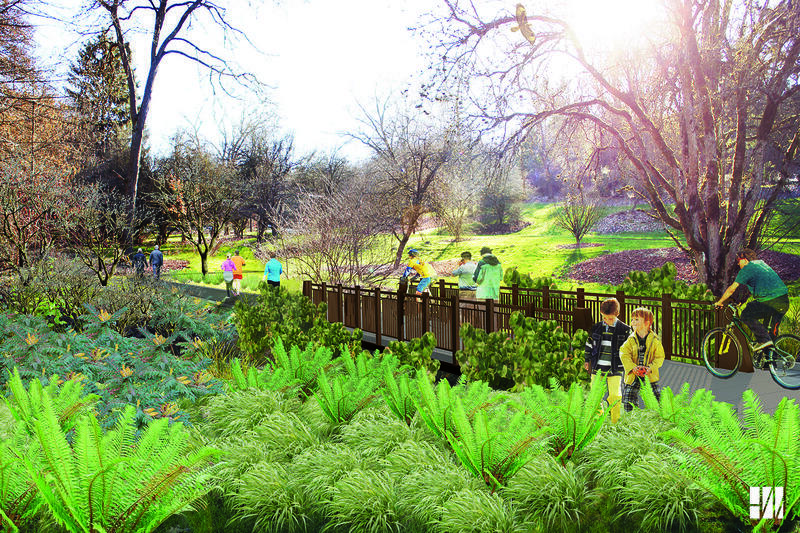 An artist's rendering of what the new Arboretum Loop Trail will look like upon completion. 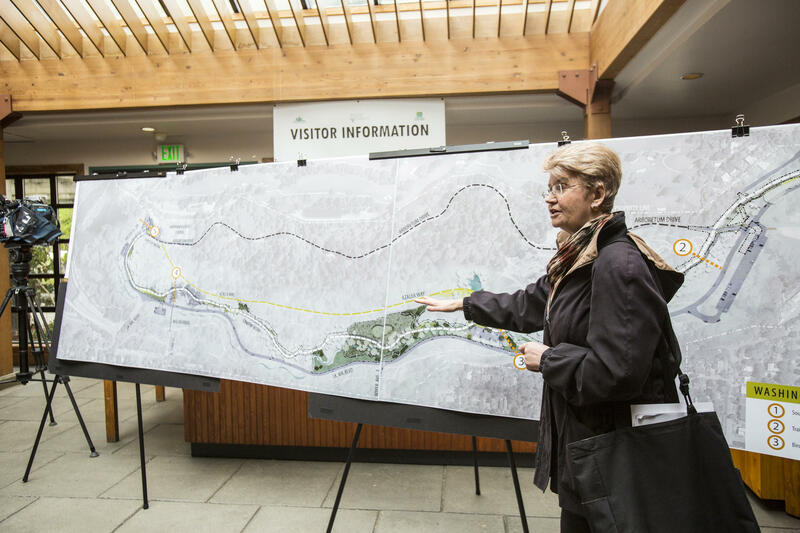 Paige Miller, executive director of the Arboretum Foundation, with a map in the Washington Park Arboretum's Graham Visitor Center showing a sketch of the loop trail, which will cover 2.5 miles when complete. 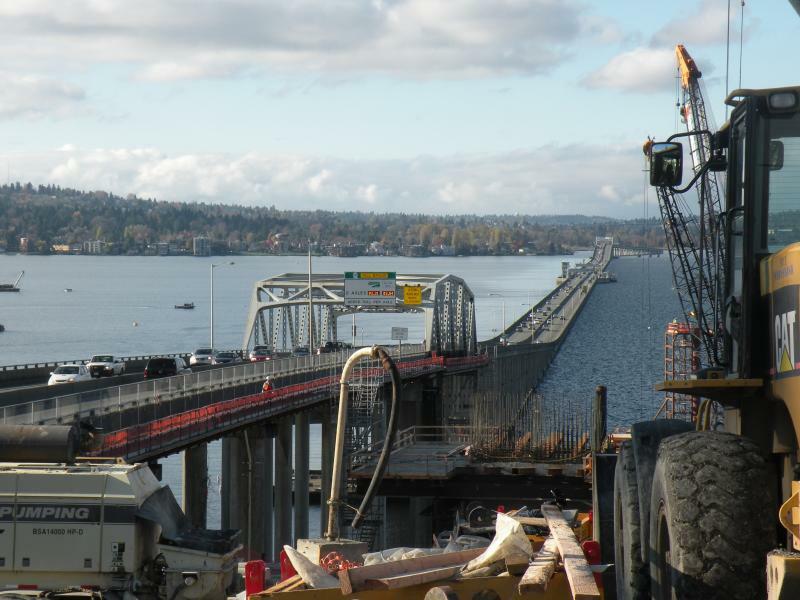 After multiple full-weekend closures for final work rerouting and restriping, the new 520 bridge across Lake Washington should improve traffic flows. Another side effect of the new construction will be better access to parts of one of Seattle’s most loved parks. The Washington Park Arboretum that borders on the Seattle side of the bridge is losing nearly five acres of land to the wider bridge and staging work as it has been built. But it's also getting millions of dollars in mitigation funding. In fact, the $7.8 million dollars in mitigation money from the Washington State Department of Transportation is the largest single amount the arboretum has ever received. Curator Ray Larson, who was hired using some of that money, recently provided a tour via electric cart along the arboretum's iconic Azalea Way. The 80-year-old path through the park is part of the original design by the legendary Olsen brothers. It's currently lined with blooms in a rainbow of colors that frame vistas in multiple directions. He paused to point out the ash collection on the west side of the park. “But you can see that it's really wet right now, so people can’t get over there very easily,” Larson said. For most of the year, even when the sun is shining, the wetlands that dominate most of the park make it hard to see much without losing your shoes in places where there isn’t pavement or gravel, Larson says. So they’re adding 1.2 miles of trail and several footbridges to form a loop. This is part of a longstanding master plan for the arboretum. Larsen expects it will make the park feel a lot bigger. The Arboretum Loop Trail is outlined by the thick white and black dotted lines. The white portion is the new section of trail, while the black portion is the existing Arboretum Drive, which will connect to form a 2.5-mile loop. “I think people ... when they walk through, they’ll realize how much more space there is that maybe they haven’t explored," he said, adding that the timing is great because Seattle is currently growing so rapidly. "It’s really going to open up a lot of areas for people. Even though we’re not adding land, we’re going make it a lot more accessible for everybody,” Larson said. They’re also daylighting Arboretum Creek, which runs through the heart of the park, but is currently mostly invisible in underground pipes and culverts. “People look at creeks now differently than they used to. And so we’re adding woody debris and pools and things to slow the water down and store it. And then, quite a diversity of plantings. About 20,000 plants will be added as part of the mitigation effort,” Larson said. Trees are being replaced at ratio of 6 to 1, under the plan. 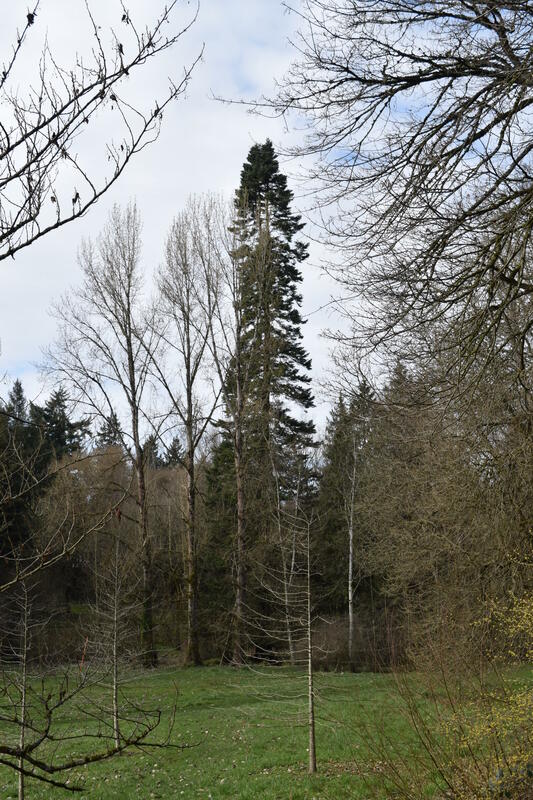 And older trees that have been hard to reach should be easier to visit, such as a 130-foot noble fir that's a staff favorite. It predates the Arboretum and can be hard to get to now, Larson says. And the partially built freeway “ramps to nowhere” that were installed in the 1960s and never used for traffic are being taken out. 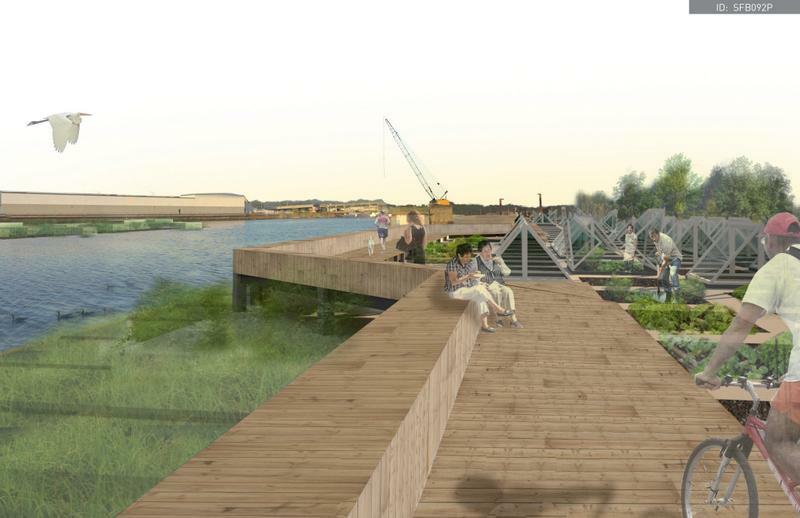 A design for parks and gardens on the South Park neighborhood's waterfront won the international competition to create a use for the old 520 floating bridge pontoons, according to the competition's Facebook page. The "Food Bridge" would be set afloat along the Duwamish River. Even as its construction is well underway, design plans for the new 520 bridge across Lake Washington continue to spark controversy. A federal judge will hear oral arguments tomorrow in a lawsuit against the replacement project by the State Department of Transportation and the Federal Highway Administration. 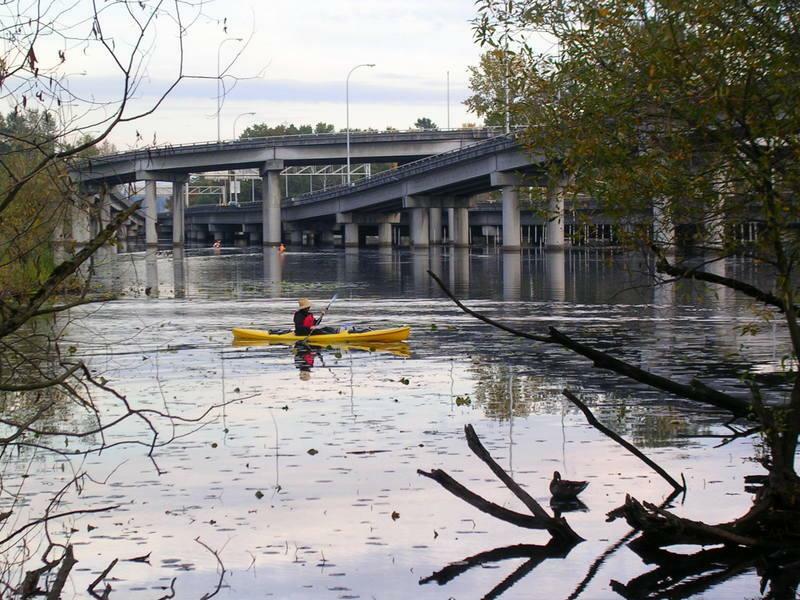 How to mitigate the impact of a new 520 bridge on the Arboretum? Unless a lawsuit derails the process, a new 520 bridge will soon be built across Lake Washington. A company in Aberdeen is already constructing the huge pontoons that will keep the new, 6-lane structure afloat. And the state is widening the highway on the east side of the lake. But exactly what the project will look like on the Seattle side is still being worked out. Seattle's Board of Park Commissioners will get a briefing on impacts to the Washington Park Arboretum tomorrow night (Thursday). 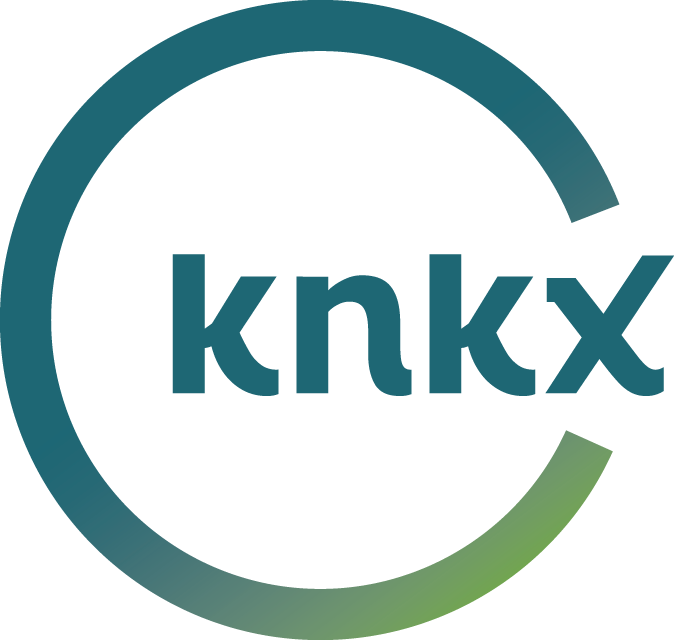 You may have heard about some issues with the large concrete pontoons being built for the new 520 bridge across Lake Washington. Several of them sprung leaks and cracks after the cement set in Aberdeen. But the state Department of Transportation says drivers don’t need to worry; the situation is under control. 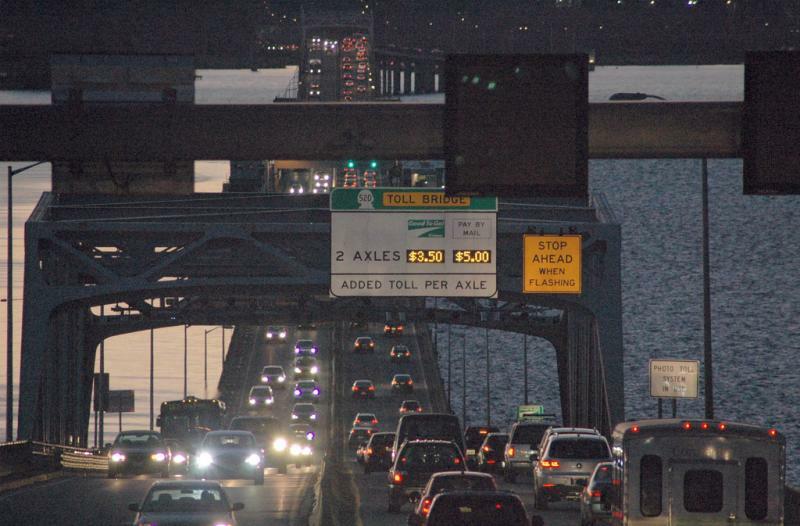 Tolling rates are going up on the 520 bridge this Sunday, in the first of four annual rate hikes. The 2.5% increase will add about an extra dime to peak fees. It comes 6 months after tolling began on the bridge between Seattle and the east side.